Grandmaster Higaonna Kanryo was born on March 10, 1853, in Naha, the capital of Okinawa. His father, Kanyo, worked as a merchant sailing between the small islands of Okinawa trading everyday goods. From a young age Higaonna Kanryo helped his father in this work and through the hard physical labor that was involved he developed a strong body. Higaonna Kanryo was still in his teens when his father died suddenly. Kanryo decided he wanted to study the martial arts and he set his heart on traveling to Fuzhou, China for this purpose. He arrived in Fuzhou in 1869 at the age of 16. Once in Fuzhou he studied the Chinese martial arts under the great Master RyuRyuKo. He remained in China under the severe instruction of his teacher for approximately 3 years. In addition to studying empty handed arts, he also became accomplished in weapons and Chinese medicines. Master RyuRyuKo esteemed his student highly and sanctioned Higaonna's mastery of these arts; an honor that is extremely rare. Such was Higaonna's skill in the arts that his fame became wide spread. Miyagi Chojun (founder of Goju-Ryu and successor to Higaonna) said of Higaonna, "My sensei possessed incredible strength; the severity of the training he underwent in China is beyond comprehension.... Kanryo Sensei's speed and power were truly superhuman; his hands and feet moved faster than lightning". Words cannot express his real ability. We can only say that his skill was incredible, but even this fails to do him justice. In the year 1881, he return to Okinawa where his martial arts became known as Naha-te. Higaonna Kanryo taught these martial arts to the people of Okinawa and at the same time continued his own research and practice. In order to teach the youth of Okinawa he developed a teaching method that was specifically designed to develop the mind and body; to improve both physical well-beings. The foundation of Goju-Ryu was established by Grandmaster Higaonna Kanryo. Miyagi Chojun was born on April 25, 1888. Miyagi began his study in Budo at the age of 12. 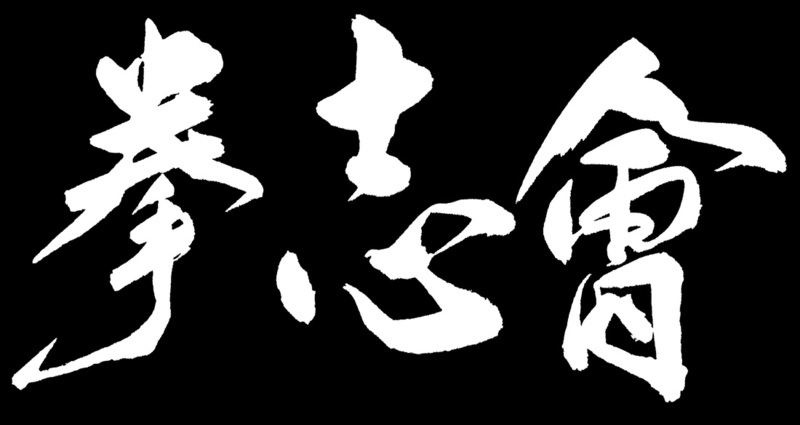 He first learned martial arts from Aragaki Ryuko in 1900. Ryuko Sensei introduced the young Miyagi to the rudiments and fundamentals of Budo. Aragaki Sensei taught him Yobi-undo, Kigu hojo undo, kihon waza, etc. After two years training period, Aragaki Sensei introduced him to Higaonna Kanryo Sensei. Under the tutelage of this Master, Miyagi underwent a very long and arduous period of training learning the complex system of Naha-te. 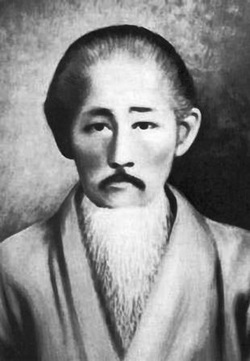 At the age of 14 was introduced to Higaonna Kanryo with whom he began his study of Naha-te. Like his teacher before him, because of his great natural talent and fierce determination, he progressed very rapidly. The training was severe beyond belief at times but he practiced ever harder with an enthusiasm unmatched by any of the other students. Miyagi Chojun became "uchi deshi" (private discipline) of Higaonna Kanryo. He studied with his teacher for 13 years before his teacher's death in 1915. Miyagi, as successor to Naha-te pushed himself to the limits of endurance in his desire to emulate his teacher's extraordinary skill. In 1915 he journeyed to Fuzhou, China, the city where his teacher had studied martial arts nearly a half decade earlier, to further his research. This was one of three trips he made to China during his lifetime. 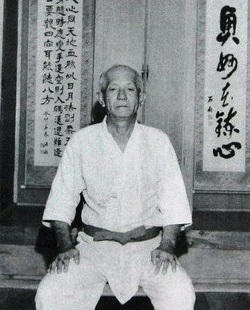 On his return to Okinawa he began to teach the martial arts of his home in Naha. Later, he also taught at the Okinawan Prefecture Police Training Center, at the Okinawan Master's Training College, and at the Naha Commercial High School (where his teacher had once taught). Chojun Miyagi worked hard to spread Karate throughout Okinawa and mainland Japan, and to earn Naha-te a status equal to that of the highly respected Japanese martial arts of Judo and Kendo. To achieve this he traveled frequently to mainland Japan where he was invited to teach at Kyoto University, Kansai University and Ritsumei Kan University. In 1933, Goju-Ryu Karate was the first Okinawan martial art to be registered at the Dai Nippon Butoku-Kai, the center for all martial arts in Japan. This was a milestone for Karate as it meant it was recognized on a level with the highly respected martial arts of Japan. Higa Seiko was born in Naha Okinawa on November 8, 1898; he began his training at the age of 13 under Higaonaa Kanryo and remained his student until his death in 1917. Following his teacher's death, Higa continued his training under Miyagi Chojun of Goju-Ryu Karate, who was one of Higaonna's top students; and remained under Miyagi until his death in 1953. 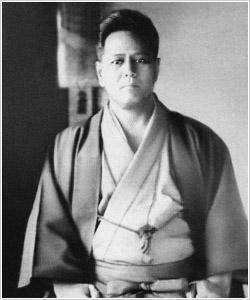 After the death of Miyagi Chojun, Higa supposedly assumed leadership as the presume head of the style. However most of Miyagi's top students all went their own way and went on to established dojos and organizations of their own never giving recognition to Higa Seiko. Many feel that Higa should be known as the successor to Miyagi Chojun's Goju- Ryu since he was the only one who was teaching Goju-Ryu while Miyagi was alive and since he also trained with Miyagi's teacher Higaonna Kanryo. There has been some controversy surrounding Higa's relationship with Grandmaster Miyagi some say that Miyagi was unhappy with the way Higa was teaching Goju- Ryu and expelled him from the dojo, but as a matter of fact in a document published in 1952, in an Okinawan newspaper Miyagi listed the senior's members of his group and their titles and only Higa Seiko was listed as "Headmaster". Fukuchi Seiko was born in Nishi Shin-Machi in Naha Okinawa. He began Goju-Ryu Karate under the direction of Higa Seiko, as a junior high school student. After he graduated from high school he became a soldier and was station in Peking China. During that time he was exposed to, and learned Chinese Kenpo, which he studied for the duration of his tour of duty (about 3 years). Upon his release from active duty, He continued his training with Higa Seiko in Okinawa. He was a diligent student of Higa Seiko and became assistant instructor at Higa dojo. He opened his own dojo, the senbukan (intense school of budo). In 1961 he was awarded the title of Kyoshi. In 1968 he was appointed Director of the Old Okinawa Goju-kai. And in 1975 he was posthumously given the title of Hanshi.